Epigenetics 2018 invites all the participants on behalf of organizing committee from all over the world to attend "4th International Congress on Epigenetics & Chromatin " which includes prompt keynote presentations, oral seminars, poster presentations and exhibitions. The principal objective of this conference is to provide an international plateform for cutting edge research in chromatin and epigenetics. The encompassing goal of this conference is to cover chromatin regulation, chromatin dynamics, signalling to chromatin, nuclear architecture and dynamics, developmental epigenetics, epigenomics, epigenetics and human diseases, genome stability, environmental epigenetics, Tran’s generational inheritance, functional genomics, system biology and super resolution microscopy. Conference has an enhanced features of scientific partnerships and alliances with development agencies, Institutes, leading research organizations, non-government organizations, and other entities to promote the development-oriented research across the world through live streaming, B2B and Scientific Meetings. 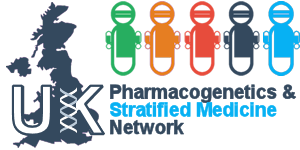 Medical Conferences provides an excellent opportunity for the emerging scientists and young researchers through its special initiatives like Young Researcher Forum, Poster Presentation and E-poster (for more information visit Epigenetics 2019). We Organize 300+ Scientific Conferences every year across Europe, USA & Asia. Besides 500 Peer reviewed, Open Access Journals, Conference series LLC LTD has collaborated with more than 1000 Scientific Associations and institutions worldwide to promote information on health care and technologies. These journals are in the support of over 5 million readers; a team of 30,000 eminent scholars are providing editorial support. The global epigenetics market is projected to reach USD 1,605.7 Million by 2022 from USD 854.0 Million in 2018, at a CAGR of 13.5% during the forecast period. The growth in this market is primarily driven by the decreasing sequencing costs, increase in research activities, favorable government funding for epigenetics research, and rising prevalence of cancer. High dominance of growth; expanding R and D financing; expanding force of examination exercises; expanding application for non-oncology sicknesses; and developing association between scholarly, biotechnology and pharmaceutical organizations are driving components of the epigenetics market. Epigenetics has been initially studied in patients with CVD for its prominent role in inflammation and vascular involvement Furthermore, epigenetic studies in cardiovascular medicine revealed a significant number of modifications affecting the development and progression of CVD. In addition, epigenomics are also involved in cardiovascular risk factors such as smoking, diabetes, hypertension and age. Epigenetic therapy is the use of drugs or other epigenome-influencing techniques to treat medical conditions. Many diseases, including cancer, heart disease, diabetes, and mental illnesses are influenced by epigenetic mechanisms, andepigenetic therapy offers a potential way to influence those pathways directly. A genetic disorder is a genetic problem caused by one or more abnormalities in the genome, especially a condition that is present from birth (congenital). Most genetic disorders are quite rare and affect one person in every several thousands or millions. Immunogenetics or immungenetics is the branch of medical genetics that explores the relationship between the immune system and genetics. Autoimmune diseases, such as type 1 diabetes, are complex genetic traits which result from defects in the immune system. The worldwide business sector of Epigenetics is fragmented in light of products, research territories and geology. By product, the business sector incorporates catalysts, instruments and consumables, packs and reagents. Catalysts are further subsegmented into DNA-modifying enzymes, protein-modifying enzymes, and RNA-modifying enzymes. Instruments and consumables are further subsegmented into mass spectrometers, cutting edge sequencers, qPCRs, sonicators and different epigenetics instruments and consumables. Packs are further subsegmented into bisulfite change units, ChIP-seq units, RNA sequencing packs, entire genomic sequencing packs, 5-hmc and 5-mc examination packs and different epigenetics packs. Reagents are further subsegmented into antibodies, buffers, histones, magnetic beads, primers and other epigenetics reagents. In light of research zones, the business sector for Epigenetics is divided into formative science, drug disclosure, oncology and otherexploration zones. Other research zones incorporate far reaching administrative instruments and research identified with a few metabolic and hereditary infections. In view of geology, the business sector of Epigenetics is divided into North America, Europe, Asia, and the Rest of the World (RoW). North America is further subsegmented into U.S. also, Canada. · Epigenetic reagents was the biggest business sector esteemed at over USD 1.2 billion in 2014 attributable to the expanding measure of R&D speculations and high utilization rates. Units are relied upon to increase quick development popular because of the expanding need of fast and exact discovery methods. · DNA methylation was the biggest innovation section representing more than 47.0% income in 2014. The presentation of mechanical progression, for example, Methylation Sensitive PCR (MSP) and quick reception of these items to enhance diagnostics proficiency are a few variables crediting for its biggest offer. 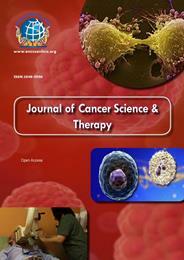 · Oncology was the biggest application market, with income esteemed at over USD 2.75 billion. 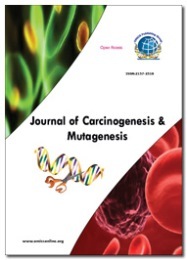 Developing pervasiveness of malignancy with epigenetic change base and solid item pipeline are a few components crediting to its business sector position. · Non oncology section is foreseen to enroll the speediest development of more than 20.0% amid the estimate time frame. The fragment is ruled by metabolic ailments attributable to, the developing base of populace experiencing diabetes and organ disappointment and expanding pervasiveness of inactive way of life. 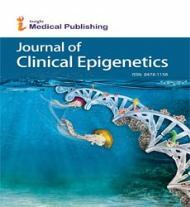 · North America was seen to be the biggest territorial epigenetics market representing more than 38.0% of the general income, because of components, for example, the expanding tumor commonness, expanding measure of financing for R&D, developing coordinated efforts between vast pharmaceutical firms for advancement of enhanced therapeutics, high patient mindfulness levels. · Some key players of the epigenetics market incorporate Illumina, Abcam, Diagenode, Thermo Fisher Scientific, Merck, Zymo research, Qiagen, CellCentric Ltd, Chroma Therapeutics Ltd, Eisai Co. Ltd, Novartis International AG, Oncolys Biopharma Inc., Syndax Pharmaceuticals, Inc., Valirx Plc and Sigma-Aldrich Corporation. · Extensive R&D activities went for the advancement of novel medications and the nearness of solid item pipeline is relied upon to further help market development over the gauge time frame.